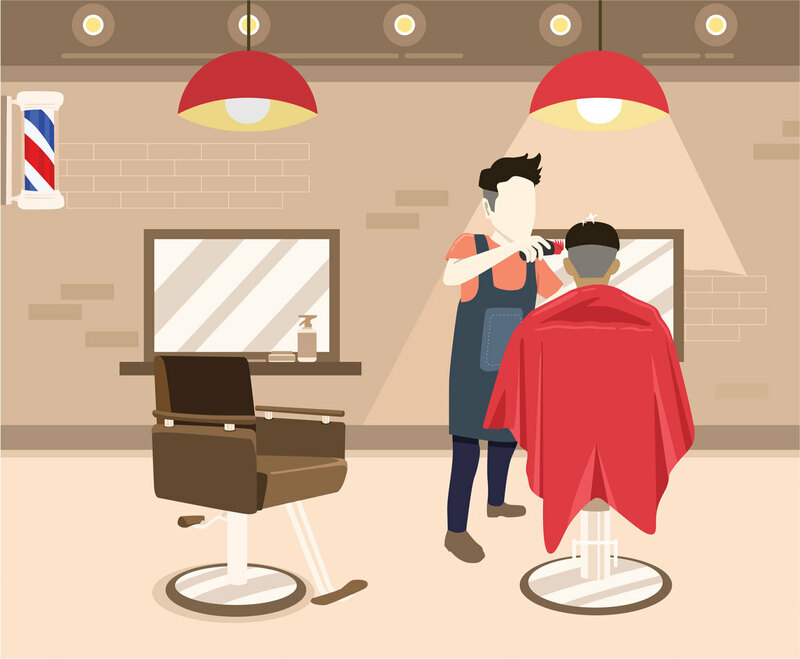 Vector illustration of people at the barbershop, where the barber haircuts the customer. The illustration includes a few set of mirrors and the barber chairs and a few equipment for shaving. You can use this vector set to as part of promotional component for your barbershop such as flyer, brochure or poster as well as for website.